This watercolor fabric pack contains 200 pre-cut 2" fabric squares in an assortment of light, medium and dark (2 squares per 100 fabrics). 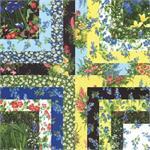 We even have a few little novelty whimsy squares for you to hide as little treasures in your quilt. 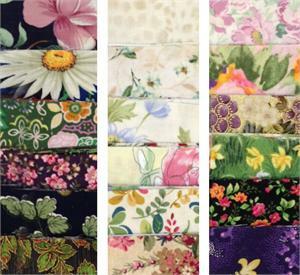 Simply arrange the fabric into a design and sew. Our fabric packs saves you hours of watercolor fabric selection and cutting. Feel free to combine packs - the possibilities are endless! 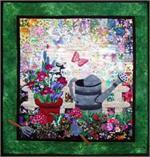 There are enough squares to complete a 21″ square or 30″ X 15″ wall hanging without border. 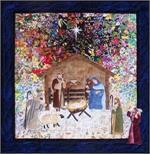 You can combine an unlimited number of kits to make any size wall hanging or bed covering you desire. Simply arrange the fabric into the design you wish and sew. This kit saves you hours of watercolor fabric selection and cutting. It also saves you money as you no longer have to purchase the large variety of watercolor fabrics needed for watercolor design. 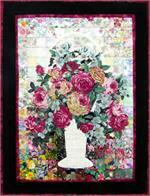 Watercolor quilting has never been so fast and easy before! 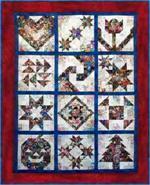 Perfect for watercolor, colorwash and scrap quilts! Fabrics and colors may vary due to availability.